Bunded Tanks – MINIBULK® & Innatank® provide secondary containment for the secure storage of hazardous contents. Thermoplastic Tanks – Sheet built or helically wound tanks suitable for storage of chemicals, water, food products and many more. Dual Laminate Tanks – GRP tanks with different thermoplastic inner shells including Polypropylene (PP), PVCu, PVDF, & ECTFE. GRP Tanks – Many liquids can be safely and economically stored in Glass Fibre Reinforced plastic tanks. Chemical & Acid Storage – Storage tanks that satisfy the recommendations of main chemical suppliers. Foodstuffs Storage – Food-safe plastic tanks for the storage of food manufacturing ingredients. Potable Water Storage – Range of thermoplastic and dual laminate tanks built to the exacting specification of DWI Regulation 31. Firefighting Water Storage – Our firefighting water tanks come with a 20 year design life & a typical one-day installation time. Saturated Brine Production – Salt saturators providing a continuous & controlled supply of brine, manufactured to stringent WRAS standards. Granular Storage – Storage silos for free-flowing granular products such as sugar, animal feeds or fertiliser. Effluent & Sludge Storage – Safe and economical storage of corrosive liquids such as sewage sludge and general effluent. Bulk Tank Vent Scrubbers – Designed to minimise environmental nuisance from the static storage and handling of fuming and odorous chemicals. 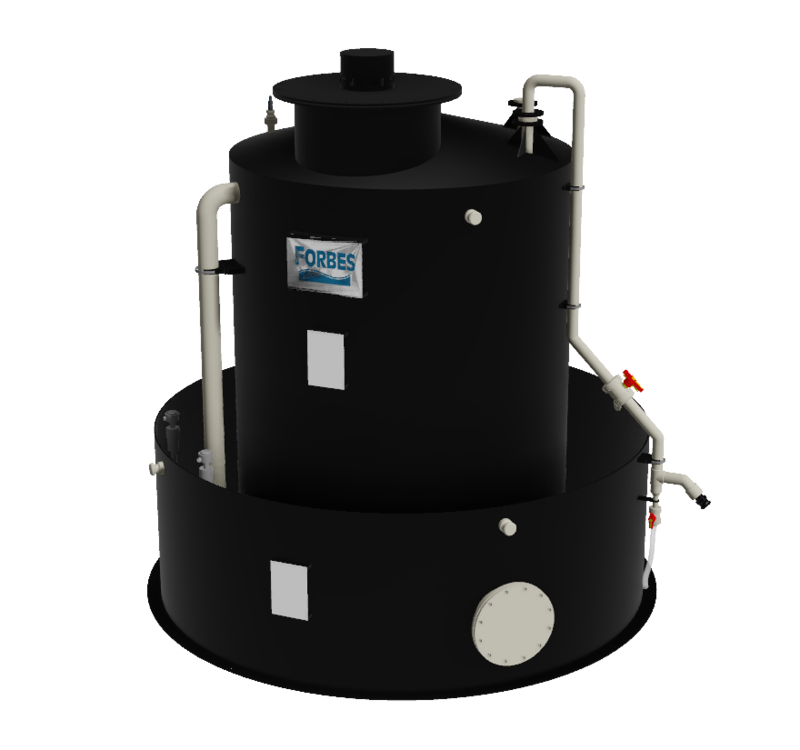 Degassing Towers – Removal of the acid forming carbon dioxide from water. Stripping Towers – Packed bed tower aeration offers an effective and economical approach to reducing VOC contamination in liquids. 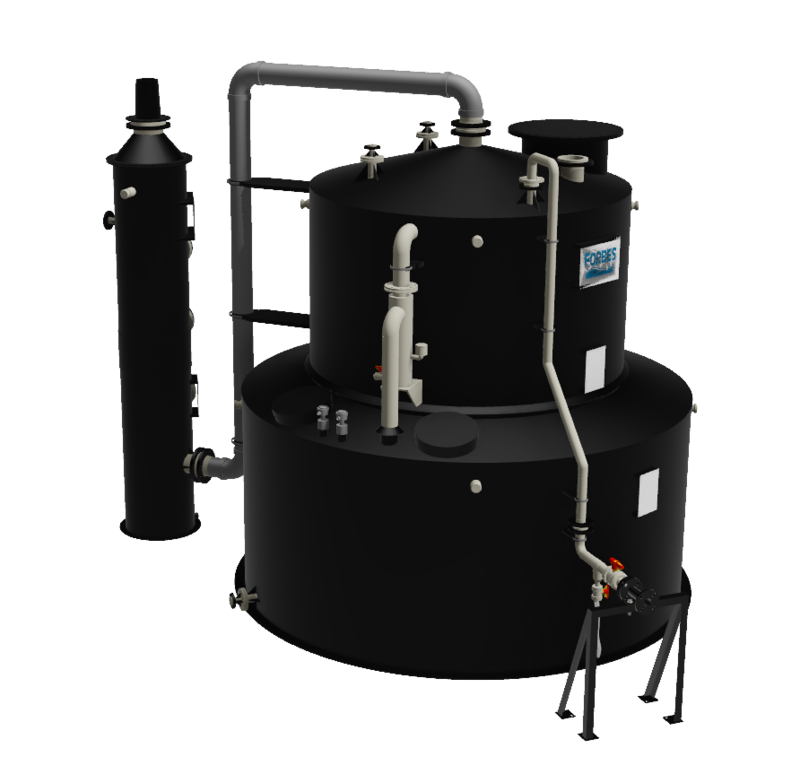 Wet Scrubbers – Removal of contaminants and particulates from a gas stream by passing the stream through a packed bed or venturi scrubber. Carbon Adsorption – Solvents, VOCs & other contaminants in the liquids or gas phase can be adsorbed onto activated carbon. Odour Control – Systems to remove odorous contaminants from gas streams – typically in industrial applications and food manufacturing. VOC Removal – Systems to remove Volatile Organic Compounds (VOCs) and other contaminants from both liquids or gases. Chemical Fume Control – Systems to control and minimise chemical fumes and polluted gas streams in industrial applications. CO2 & Dissolved Gas Removal – Effective and economical approaches to the removal of acid-forming dissolved CO2 and other gases from water. Fine Particulate & Dust Control – Effective systems for the removal of fine particulates, mists and aerosols from a gas stream, even down to sub-micron size. Pipework – From simple extended inlet pipes to full factory ring main installations. Steelwork – Walkway platforms, ladders & other ancillary steel fabrications. TUF Pumpset – High specification, corrosion free, maintenance free and controllable. Design – Our “in house” capabilities include both mechanical engineering & chemical process design. Turnkey & On Site Services – From the simple offloading & positioning of tanks to a full project managed turnkey service. Certification & Policies – BSI Certificate Quality Management System – ISO 9001:2015, Achilles Certification & Safe Contractor Accreditation. Materials of Construction – Tanks & vessels are fabricated in a wide range of materials in order to suit a full spectrum of contents and applications. Manufacturing Processes – Vast collection of construction methods & machines in use, in order to maximise production efficiency & reduce costs. Downloads – Download a selection of Forbes product information brochures. Bunded tanks provide the safest way to store hazardous and flammable products. All MINIBULK® Systems are supplied complete with safety bund and associated pipework providing safer chemical storage. Every MINIBULK system is designed for its specified application. Bunded tanks of thermoplastic construction will usually be black to protect the contents from the effects of UV light. The tanks are externally pigmented to customer specification from the BS4800 range. MINIBULK PLUS bunded storage tanks are invariably designed to BS4994:1987 using a thermoplastic/GRP dual laminate with a polypropylene or UPVC inner shell as appropriate to the specified duty. Major chemical suppliers offer guidelines regarding the safe storage and handling of their products. Forbes works closely with these companies to ensure that MINIBULK systems satisfy their recommendations. Many of the dangers associated with manual lifting and opportunities for exposure to chemicals are reduced and the system provides the assurance of bunded storage tanks and safe chemical storage. Virtually any liquid can be stored safely in a Forbes MINIBULK® system. Offering tank capacities from 1,500 litres to 8,000 litres, the MINIBULK® range is available in 8 standard sizes – all supplied complete with safety bund and associated pipework. Standard sizes make best use of materials to minimise wastage and therefore cost. Non standard sizes are available on request – please ask us to quote against your specific requirements. Allow users to take delivery by low pressure discharge (from tankers or lorry-mounted IBCs) with the minimum of danger and with no rental or cleaning charges. Offering tank capacities from 10,000 litres to 30,000 litres, the MINIBULK® PLUS range is available in 6 standard sizes – all supplied complete with safety bund and associated pipework. Standard sizes make best use of materials to minimise wastage and therefore cost. Suitable for high pressure deliveries and are available with the full range of MINIBULK optional equipment. Weather shrouds span the gap between the tank and bund walls to prevent the ingress of rainwater, if the system is being used outdoors. This can be supplied with access hatches as necessary for pipework and valves. Access steelwork, as standard comprises of a platform above the bund, with ladder and safety gate. The platform would be 1000mm below the tank roof, allowing safe access to nozzles close to tank edge, which may require regular maintenance and access. Speak to our sales team to find out more. High quality storage tanks at competitive prices, while protecting the well-being of Forbes staff and the environment. With a vastly experienced team of design engineers, solutions for almost any application can be achieved no matter how complex. Cutting edge technology and tank manufacturing processes, to exceed our client's needs and expectations. Enter your details and we will call you back within 1 hour. 09:00 – 17:00 GMT (Monday–Friday). By using this form you agree to us processing your personal data.